For two years, Cinderella has searched for her long-lost enemy, the Silver Fox, in a desperate attempt to convince him to help her find her daughter and defeat Napoleon. With time running out as only Russia remains strong against Napoleon's grand army, Cinderella will sacrifice all she knows to find her daughter, but will she lose herself or be found? Find out if Cinderella does find her true love in Found, the dark and adventure-filled third book in the Cinderella's Secret Diaries series! Best book ever loved all three books wish there was more 😀 Cinderella is a must read!!! If you could sum up Found: Cinderella's Secret Witch Diaries, Book 3 in three words, what would they be? This is the second book that I have listen to, written by Ron Vitale and narrated by Jessica Mann. Ms. Mann is honing her craft and with each book her narrating style immerses the listener into the story. As for Ron Vitale, what can I say, he is a consummate story teller. What a wonderful conclusion to the trilogy. In this final story we find Cinderella in America looking for clues to finding her daughter. We finally see a maturity and growth in Cinderella, its almost an adult coming of age story. Also it was a long time coming but Cinderella had an epiphany about Henry - that yes it's time to let go! YEA! Again Ron Vitale weaves a story spanning many genres into one cohesive story. This story will appeal to the young and old alike. However, I respectfully suggest that you start at the beginning with Lost then Stolen and finally Found. It will enhance your enjoyment of the story as the characters cross over into each book and you will understand the back story. It was a great finish to this series. I love how the story took parts of history and wove it into this different take on Cinderella. 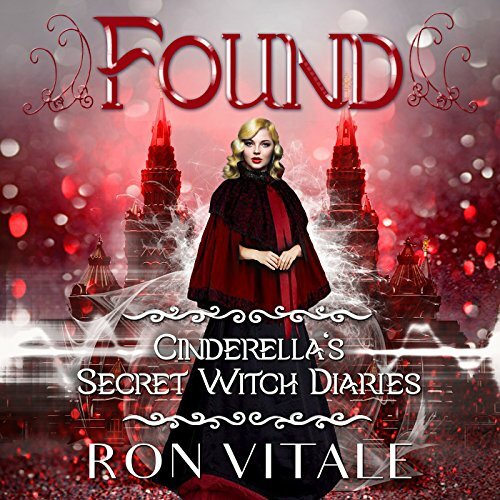 What did you love best about Found: Cinderella's Secret Witch Diaries, Book 3? Cinderella, gets to have a life that she has long for a long time. What other book might you compare Found: Cinderella's Secret Witch Diaries, Book 3 to and why? This book is on its own. I can't compare to any other book. Have you listened to any of Jessica Mann’s other performances before? How does this one compare? I listened to her in another Ron Vitals book. I really like her voices in this book. Yes, when Cinderella thought Phoebe was died. I loved this book, I could not stop listening to it. Ron Vitals is a awesome author. I will read or listen to anything he writes.